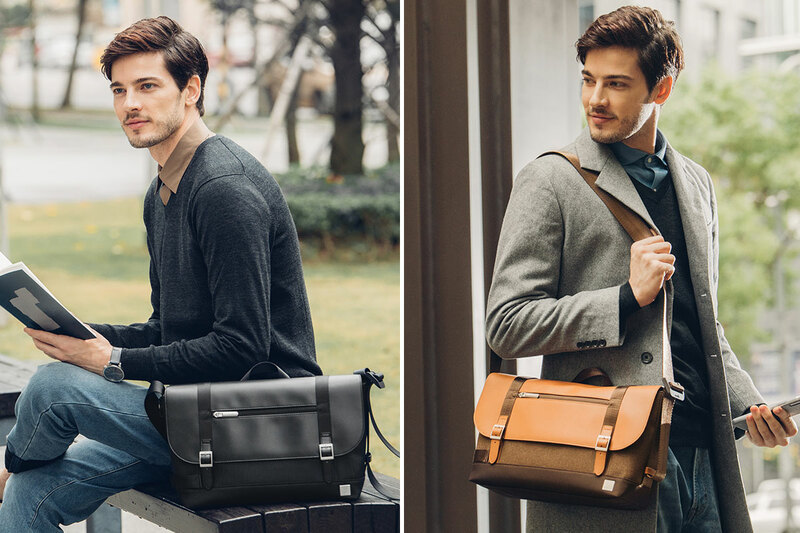 Casual yet stylish, Carta is the ideal everyday work bag thanks to its modern yet classic look. 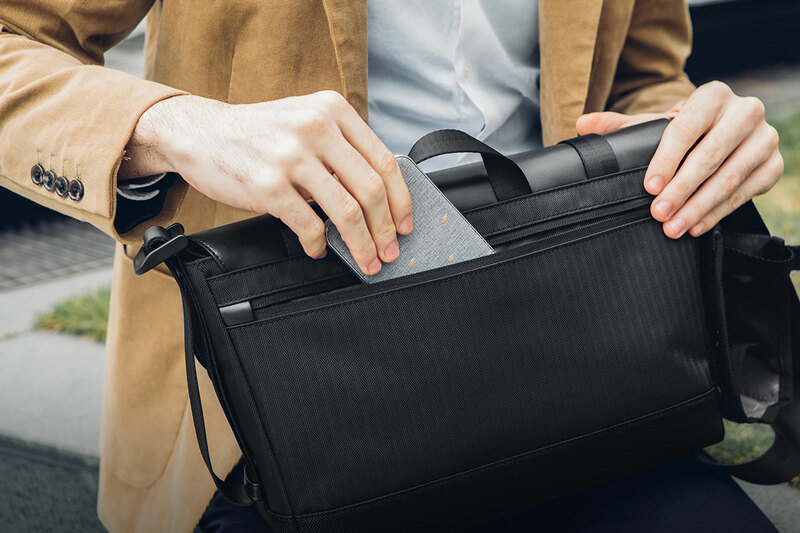 The messenger’s compact design is roomier than it appears, carrying any laptop up to 13” with plenty of room for your essentials. 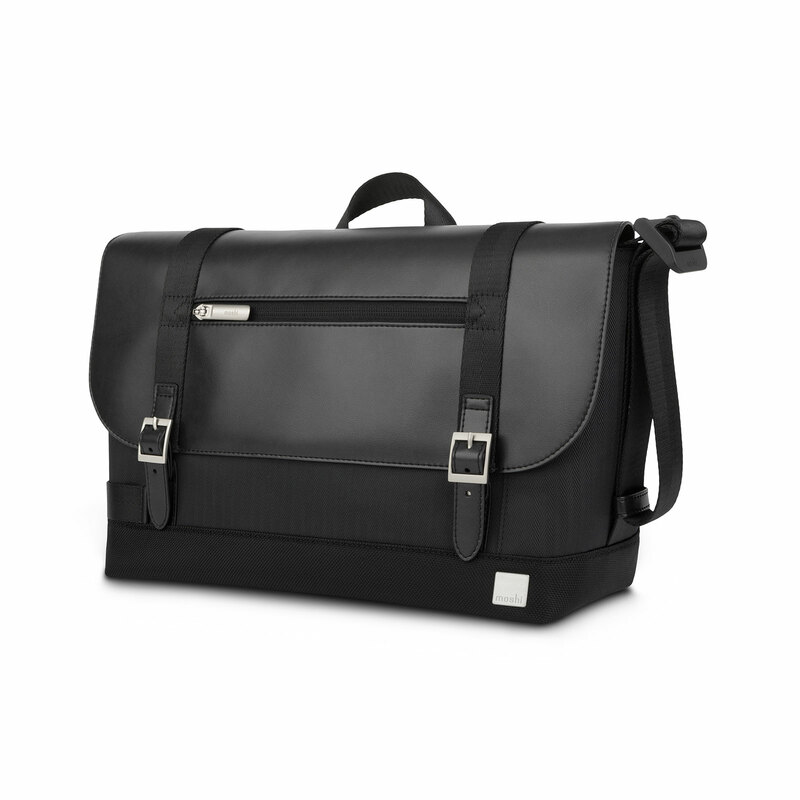 Extremely versatile to fit your journey. 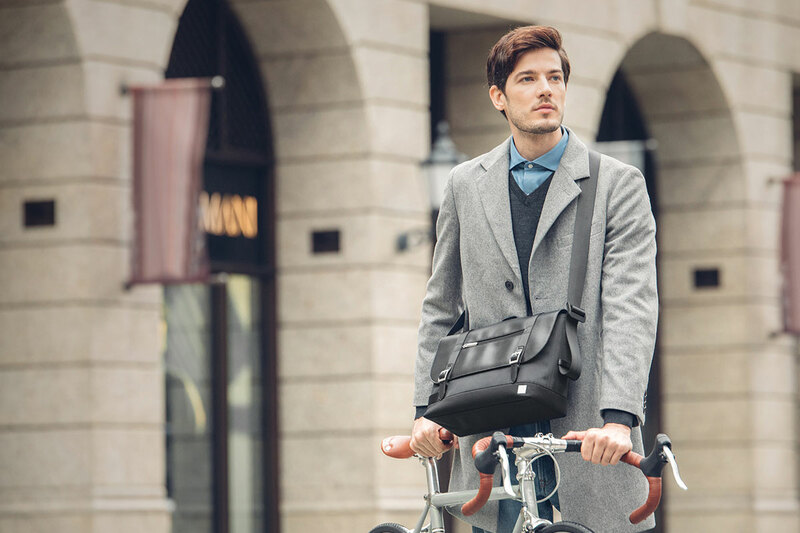 No matter the setting, Carta’s timeless design matches your style. 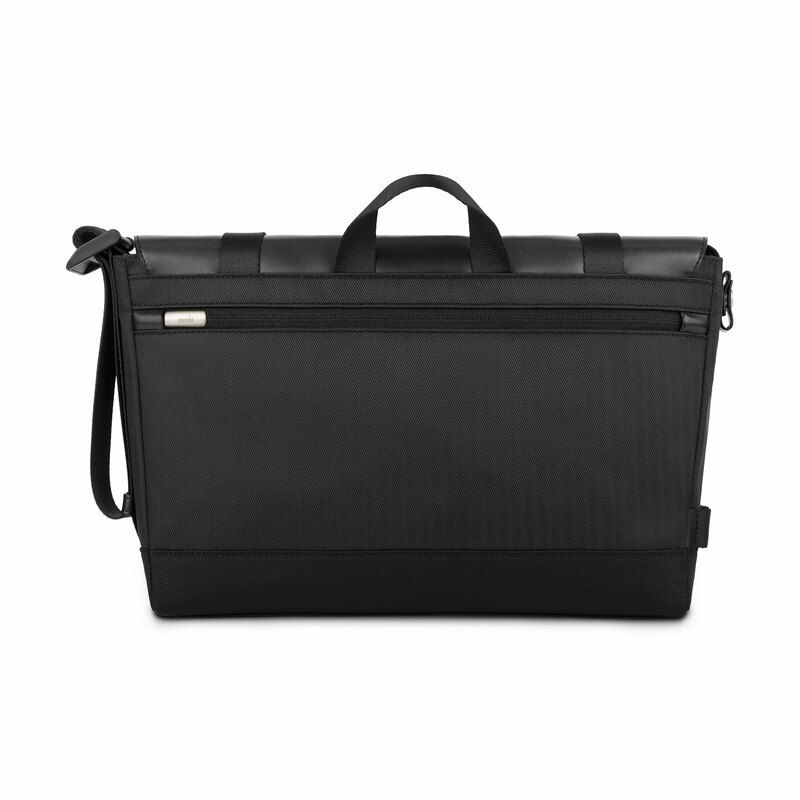 Carta holds up to a 13” laptop, and other everyday items such as a portable battery, cables, documents and more. 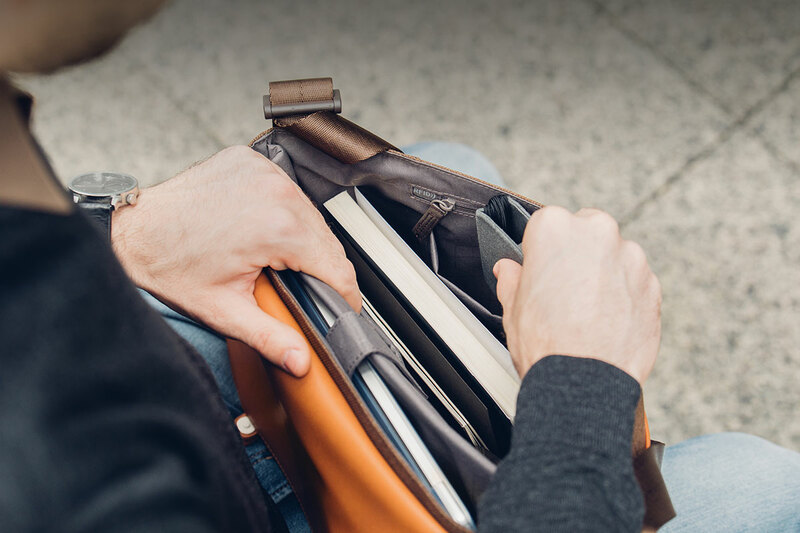 A side strap loop allows you to hook your water bottle holder, an ID badge or key ring. 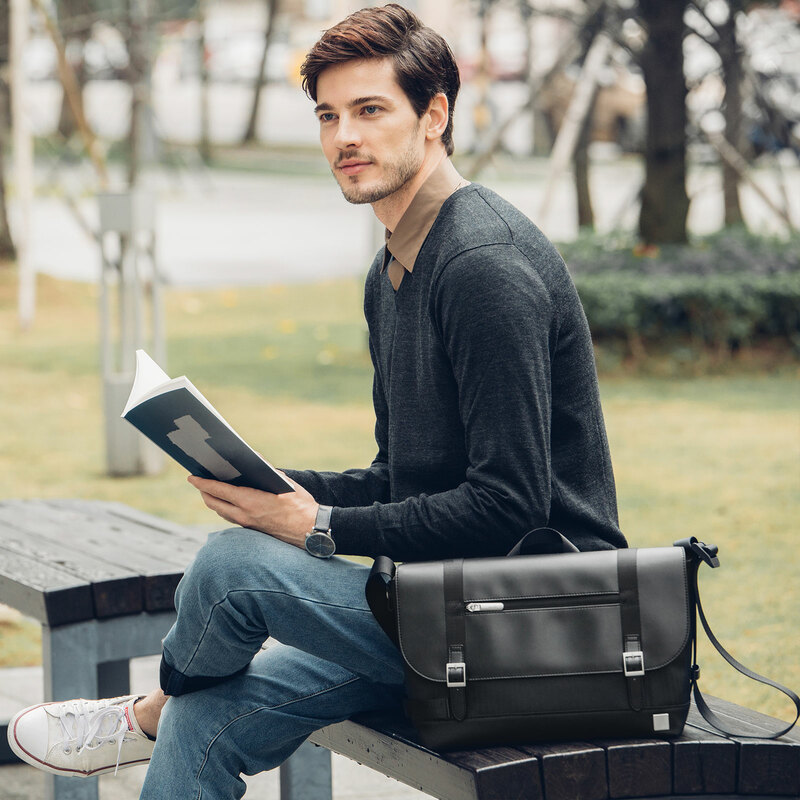 Crafted from premium vegan leather for an animal-friendly carry solution. 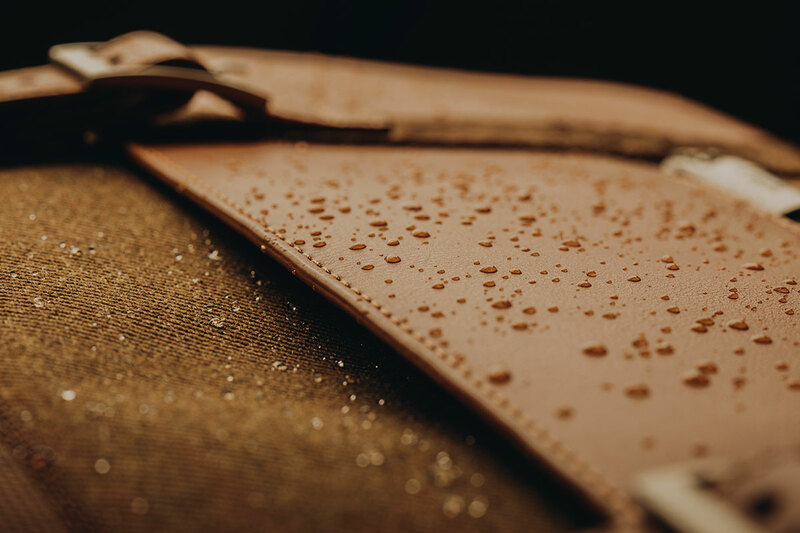 To ensure your belongings stay safe and dry in all weather conditions. 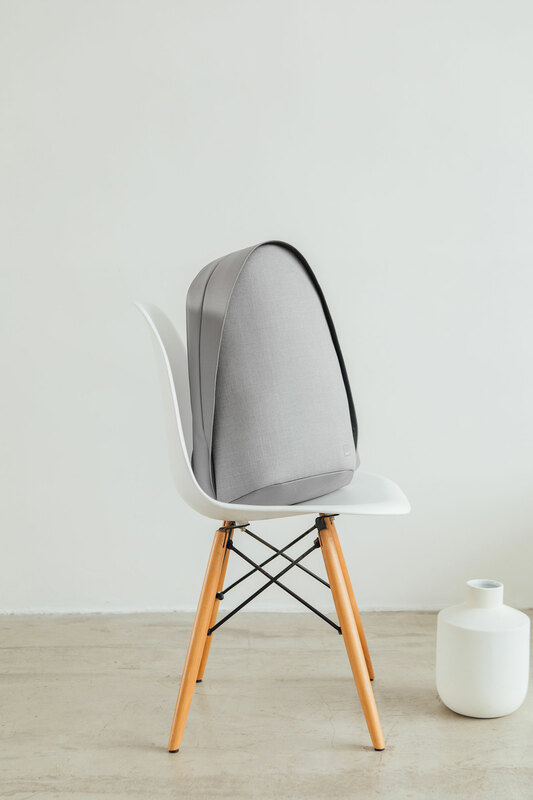 Keep your belongings safe with a full-length zippered rear pocket. 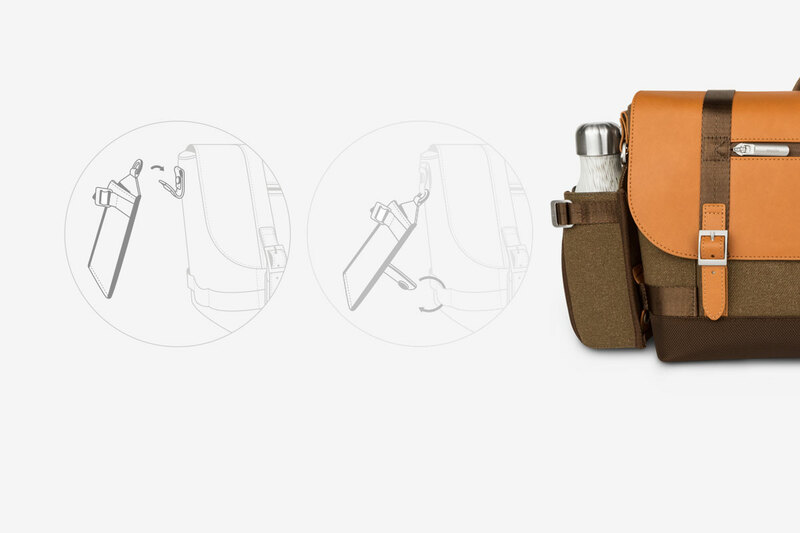 Unsnap the loop to attach Water Bottle Holder. 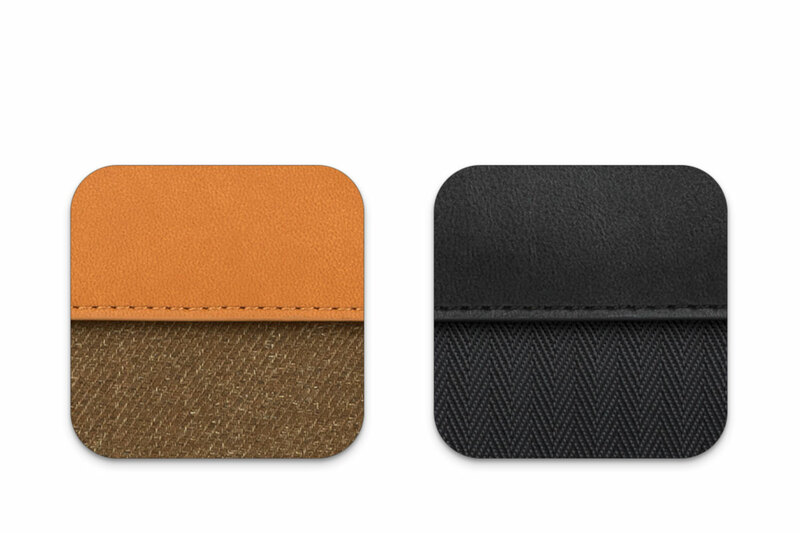 Snap to close. 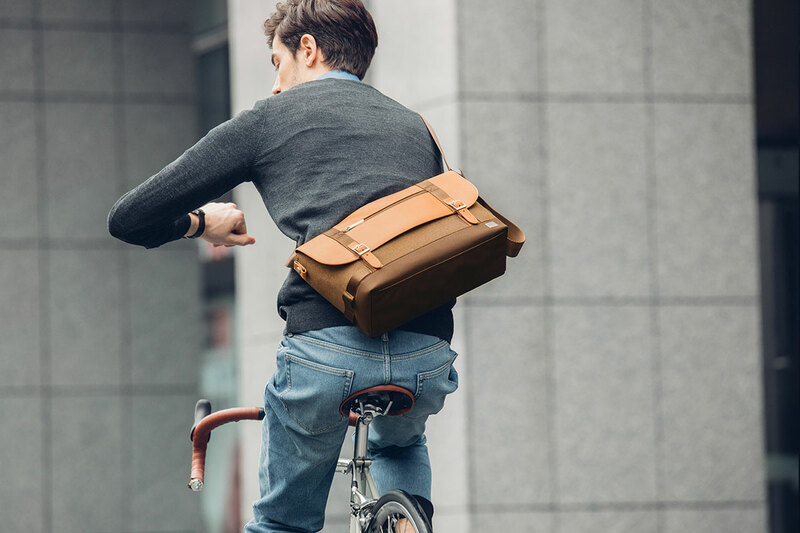 Designed for Moshi’s Carta messenger bag, this Water Bottle Holder lets you carry a water bottle without taking up space inside your bag. 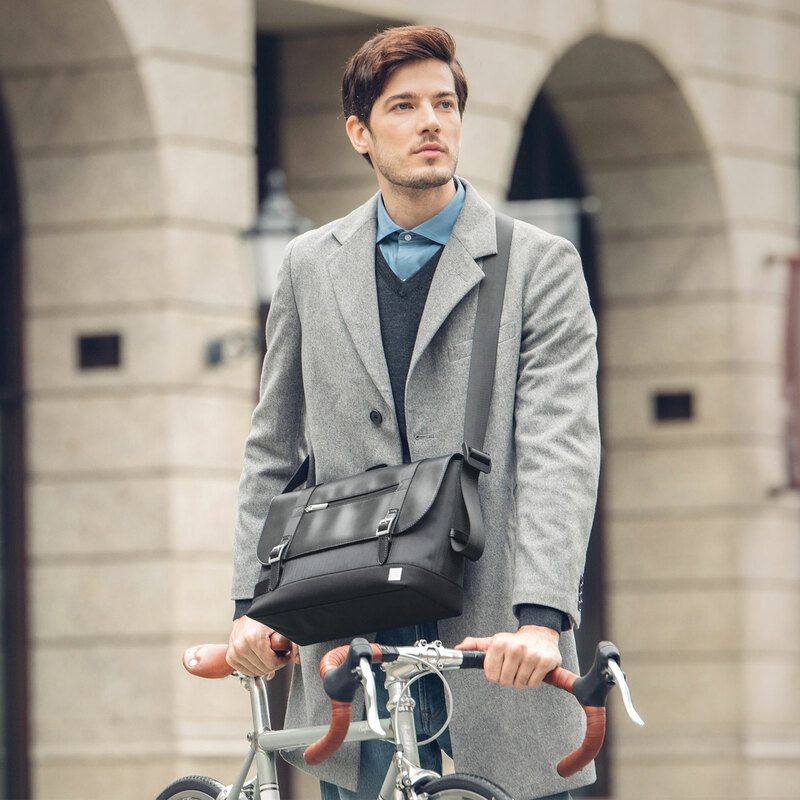 More stylish than your average messenger, Carta is the ideal everyday bag with a sophisticated mix of soft vegan leather and lightweight fabric. 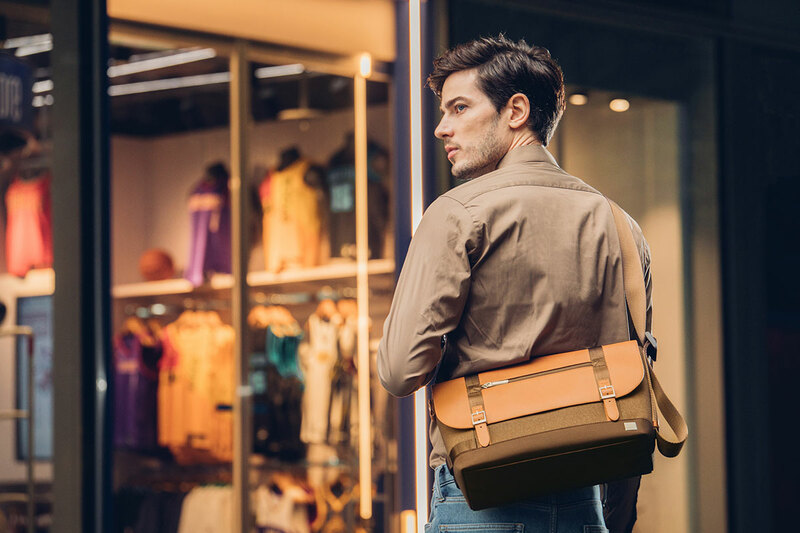 Ultra-lightweight, the bag seamlessly goes from day to night to accompany you for drinks after work. 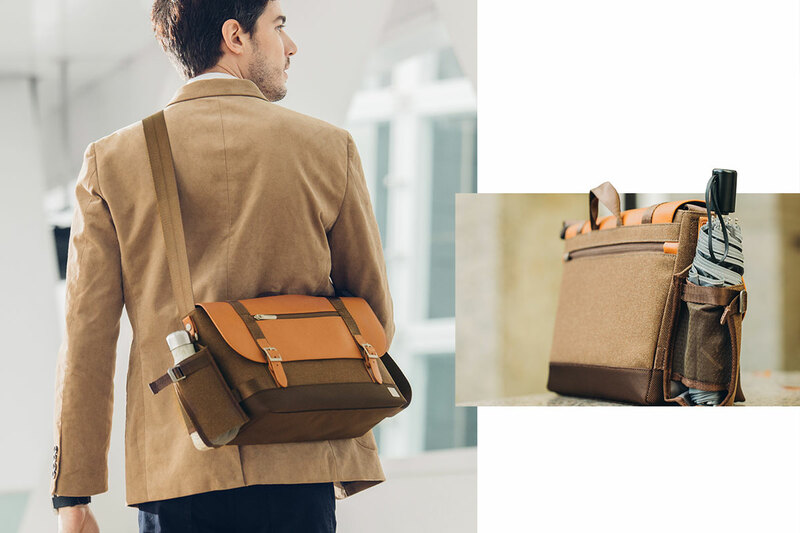 A padded laptop compartment cushions your 13” laptop, with a spacious a main compartment to carry your lunch box, umbrella, documents and other essentials. 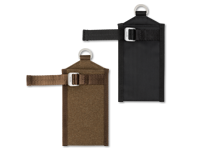 A side strap loop allows you to hook your water bottle holder, an ID badge or key ring. 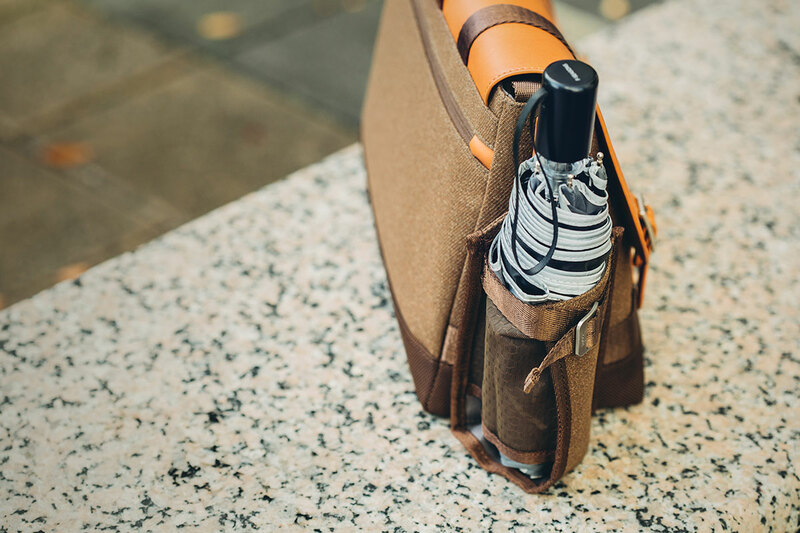 Moshi’s Water Bottle Holder gives that added convenience to your journey. 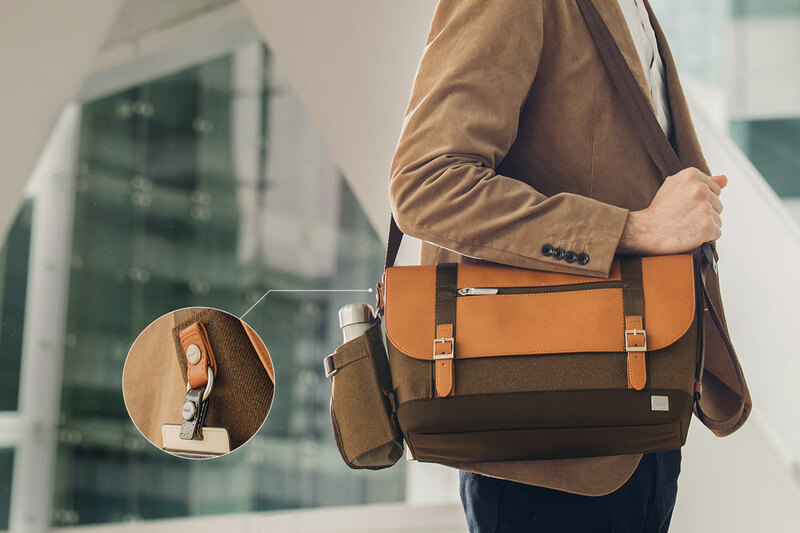 Stylish, lightweight and adjustable, it provides a convenient way to take your water, beverage or even umbrella with you, wherever you go. 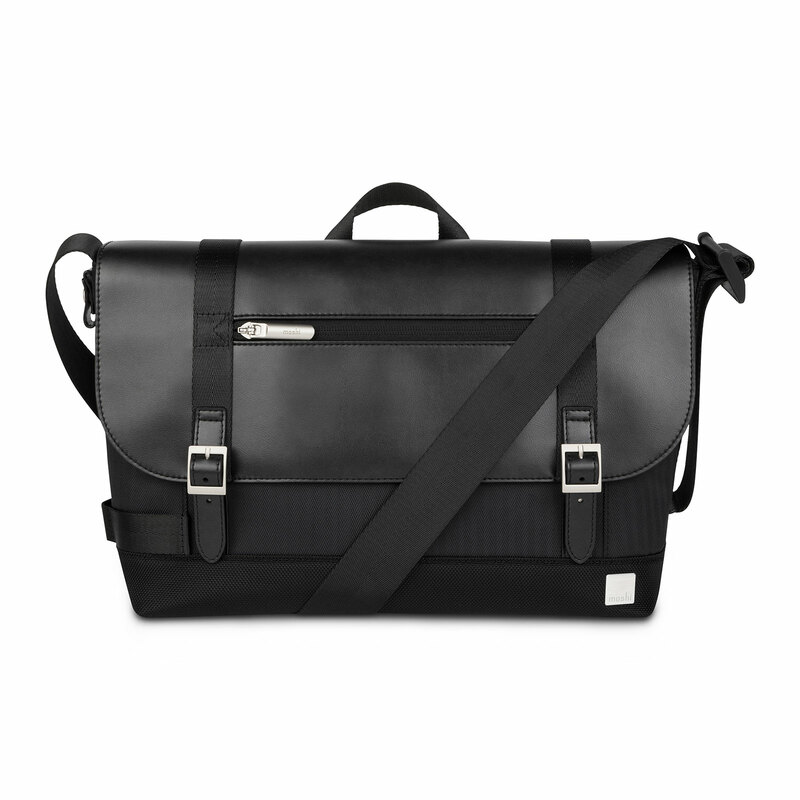 Attach it to the side loop of the Carta messenger bag for quick access when on the go.